There is a range of alternative dispute resolution methods to choose from: Private Judge vs. Mediation vs. Arbitration vs. Negotiation. The judge makes the decision. Parties could be self-represented or represented by attorney. Parties make their own agreement through negotiation. Their attorneys negotiate an agreement. There are some other kinds of alternative dispute resolution methods such as facilitation, ombudsman and hybrid. The people usually chose a method based on case complexity, party’s relationship, their ability to work together, availability of funds. 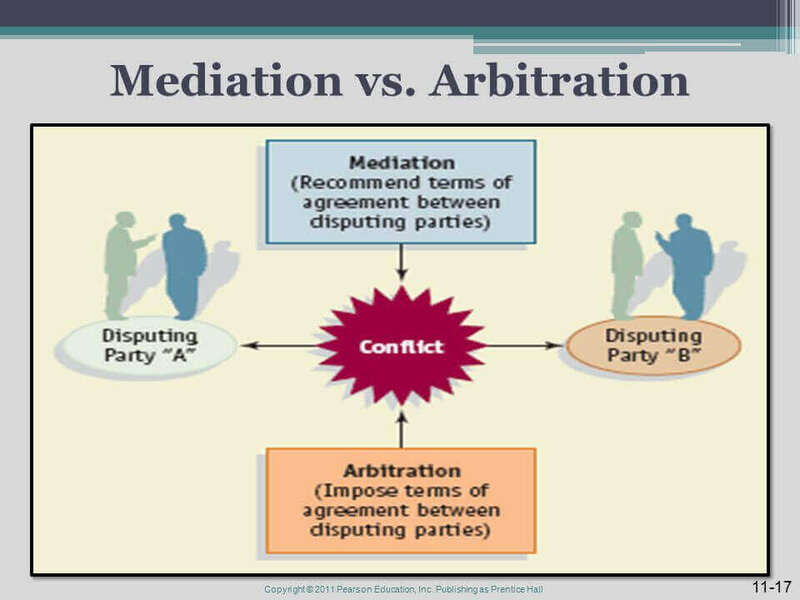 Both Mediation and Arbitration are ways to resolve legal issues outside of the court. In Arbitration, legal problems will be decided by the arbitrator based on evidence presented. The arbitrator analyzes the facts presented and awards a legally binding decision on both parties. In mediation, the Mediator ( a neutral party) will guide both sides through the process and help them reach decision together based on what is most important for everyone involved. According to longitudinal study (12 years) high conflict cases, especially child custody, 28% of nonresident parent who mediated saw their children weekly. 52% of nonresident parents who mediated talked with their children weekly. In comparison Litigation vs. Mediation vs. Arbitration, 9% who litigated saw their children weekly. 14% of nonresident parents who went through Litigation and Arbitration talked with their children weekly. A big advantage of mediation is that they deal with issues they care about. Another advantage of Mediation is that it helps parties to understand each other, allows presentation of their view and to be heard.